Beauty box subscription Birchbox has released a limited edition box full of high-performing, natural vegan and cruelty-free beauty products. 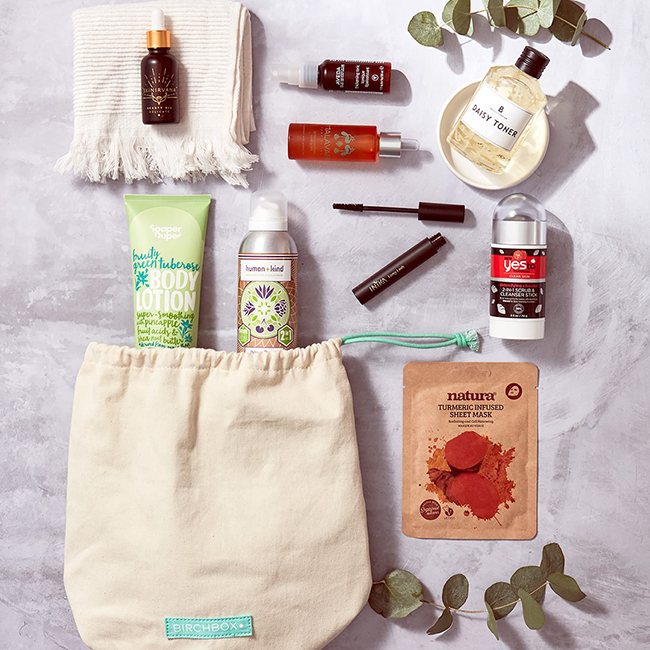 Beauty box subscription Birchbox has seen a growing demand from its customers for more vegan, cruelty-free and planet-friendly cosmetics in recent years as people are increasingly more conscious about the products we put on our hair and skin your skin. In a bid to tap into the growing cruelty-free beauty movement, Birchbox has put together special edit of high-performing, natural formulations that are kind to your skin (and the environment!) and really work in its new limited edition ‘The Natural Edit’ box (or lovely drawstring bag in this case!). The Natural Edit is packed full of vegan, cruelty-free cosmetics that are brimming with natural ingredients. In fact, whilst the box costs £32, you will receive £163 worth of products. Aveda Thickening Tonic: Give it a good shake and spray through towel-dried hair to thicken your tresses from root to tip. Soaper Duper Fruity Green Tuberose Body Lotion: A 98% natural blend of nourishing fruits and juices, this sinks in beautifully to damp skin. Malavara Ultra Luxuriant Hair Elixir: Massage a few drops into your scalp 30 minutes before your hair wash to boost shine and strength. Inika Organic Long Lash Vegan Mascara: This 100% natural formula uses plant-derived ingredients to condition lashes whilst boosting volume and length. Beauty Papier Daisy Toner: Infused with real chrysanthemum flowers, this natural powerhouse of a toner gently purifies, hydrates, and softens skin. Yes To Tomatoes Detoxifying Charcoal 2-in-1 Scrub & Cleanser Stick: Rub generously over your skin before massaging in to remove impurities and deeply cleanse. Human+Kind Shower Mousse Coconut Dream: Pamper your skin with soft clouds of tropical-scented foam that will leave you feeling great on the outside and the inside. natura TURMERIC SHEET MASK: Known for its antioxidant and anti-inflammatory properties, tumeric helps to calm and renew your skin. SKINIRVANA Pure Bliss Delicate Beauty Oil: Use this 100% natural treatment that blends soothing oils with vitamin E in place of your daily moisturiser.